Science & Religion Lecture today! "Mysteries of the Delphic Oracle"
The Delphic Oracle was the most influential religious site in the ancient Greek world. Speaking from a tripod in a crypt under the temple of Apollo at Delphi, the priestess called the Pythia acted as a medium for the god, and spoke the divine prophecies while in a state of trance or possession. The testimony of eye-witnesses linked the oracle's prophetic power to geological features in the rock under the temple: a mysterious chasm or cleft, a natural vapor or gaseous emission, and a sacred spring. Although long doubted by modern scholars, these ancient traditions have recently been put to the test by an interdisciplinary team of researchers -- a geologist, an archaeologist, a chemist, and a toxocologist -- with surprising results. Dr. John R. Hale received his Ph.D. in archaeology from the University of Cambridge in 1979. He has conducted fieldwork in England, Scandinavia, Portugal, Greece and the Ohio River Valley, and is currently director of liberal studies at the University of Louisville, where he is studying such diverse subjects as ancient ships and naval warfare, and the geological origins of the Delphic Oracle. Professor Hale's work has been published in Scientific American, Antiquity, The Classical Bulletin, and the Journal of Roman Archaeology. The theme of “Islam and the Environment” has recently gained much popularity, both at the general-public level and with Muslim scholars and institutions. Many conferences on the topic have been taking place: in Turkey in 2009, in Indonesia and in Jordan in 2010, and in Algeria over the next few days; in fact, I am headed to Algeria to take part in the latest one, organized by the High Islamic Council there. Several books have also been published, in Arabic and English (and quite certainly in other languages too), among them, Ibrahim Abdul-Matin’s ‘Green Deen: what Islam teaches about protecting the planet’, which Salman blogged about last December, with excerpts from an interview with the author. I really don’t know what to expect at the Algiers conference on Islam and the Environment; I don’t even have the program yet. I am told an international ensemble of speakers will be present, and this type of conference is always heavily covered by the local media (being organized by the highly official High Islamic Council). I will report back later on the main themes and highlights; hopefully there will be some serious discussions, not the usual “Islam is great on this issue, and the only problem is that we are not following its teachings” type of discourse. As always, my presentation will be somewhat critical, but I’ll save my views until I’ve attended and listened to others. In the meantime, I tried to do my homework, so I read a couple of book and a bunch of articles on the topic, including two books in English: ‘Green Deen’ and ‘Islam and the Environment’, a volume edited by Harfiyah Abdel Haleem, including contributions by scholars like Seyyed H. Nasr. The author quickly reminds us that "deen" is the Arabic/Islamic term for religion, path or way of life, thus "green deen" is "living and practicing Islam while honouring the principles that connect humans to protecting the planet". He insists that he is not a scholar and that his book is not a treatment of how the Quran and the hadith address our interaction with Earth (although I counted more than 30 verses in the book), but presents the Islamic principles which, in his view, (should) govern our day-to-day relationship with the world: tawhid, which he defines as "Oneness of God and His creation"; ayat, the signs of God that are to be seen everywhere; khilafah, humanity's stewardship of Earth; amana, the trust we must honour with God; adl, the justice we must apply to everything; and mizan, the balance of nature we must uphold. Abdul-Matin then sets out to apply these principles to various environmental topics, always relating them to people's day-to-day situations, often telling stories of how Muslims in the United States have been dealing with such issues. The book is thus divided into four parts — waste, watts, water and food — each with three or four chapters. Let me mention some of the great ideas that Abdul-Matin presents. 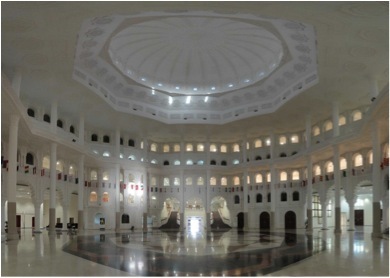 Most notably, there was the whole "eco-mosque" idea… On each topic the author cites real examples, thus driving home the point that these steps can be (and have been) implemented and made to succeed. For example, he tells us that the holy mosques in Makkah and Madinah recycle water for wudu (ablution), Muslim scholars having authorised it, and important mosques from Arizona to Indonesia have been designed to be environmentally friendly. I was less convinced by other views of the author, particularly his tendency to oversimplify some Islamic principles to make them applicable to the environment. For example, he has stretched the concept of tawhid to "human beings and the planet are One [tawhid]" (page 43), "we are the environment [tawhid]" (page 114) and "everything has a relationship with water" (page 118) … Likewise, he has used the hadith "the whole earth has been made a mosque for me" to insist that "everything is [thus] sacred". Human cloning is so far a fictional question only. Though, Raelians - a UFO religion, did claim to have cloned a human baby in December 2002, but most people treat their claim with skepticism. Nevertheless, there is general feeling that there is something fundamentally wrong for humans to clone themselves or to artificially create humans. Of course, the creation of Frankenstein is the first image that comes to mind. But these definitions of "artificial" are changing fast. For example in vitro fertilization (IVF) is now mainstream - and I don't think many people have serious problems with that (yes, with the exception of the Pope). 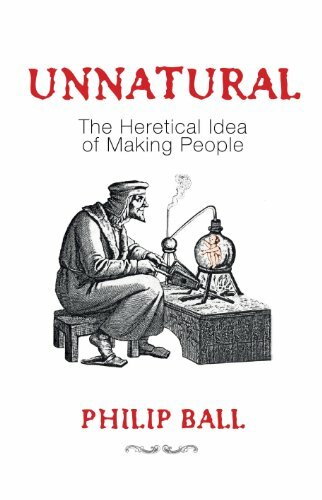 In Unnatural, science writer Philip Ball explores the history of our fascination with — and fear of — creating artificial people, from ancient folklore to today. Tracing a clear path from medieval alchemists' homunculi to routine assisted conception is a feat. Through his impeccable research, Ball successfully argues that the tenacious myths of the past that surround the making of people or 'anthropoeia' (his coinage) affect life-science research today. Ball traces the concept that nature is good and techne is bad back to Aesop's and Ovid's Prometheus, maker of humanity from earth and water, and provider of technology to man. 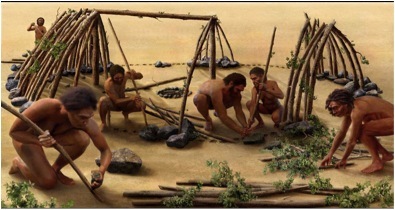 After Prometheus came recipes for making miniature humans called homunculi. Starting in the Middle Ages, initially as a cure for childlessness, the art of homunculi-making evolved into a debate over whether the miniscule men had a soul. Johann Wolfgang von Goethe's nineteenth-century poetic play Faust raises this spectre. Deploying the biological equivalent of alchemy, Faust's former assistant, Wagner, creates his homunculus: a tiny super-being with magical powers who is trapped in a glass vessel, doomed to remain captive without the capacity to become a proper man. In 1818, Mary Shelley published Frankenstein, appropriately subtitled 'The Modern Prometheus', in which her eponymous scientist unintentionally constructs a monster, by unexplained means, from human parts. There are also golems — the animated beings of Jewish folklore, made from clay and brought to life by religious magic for the purpose of imitating God's creation. Ball distills out of all this a set of universal myths surrounding anthropoeia that are deeply ingrained in society, resulting in the widely held view that artificial people-making is unnatural and deeply wrong — heretical, as in the book's subtitle. His thesis is that humans fear that uncovering forbidden knowledge will result in either divine or other retribution. Prometheus, Faust and Frankenstein all pay a heavy price for their transgressions into anthropoeia. Even today, Ball points out, societal and cultural debate is pervaded by the belief that technology is intrinsically perverting and thus carries certain penalty. As scientific knowledge accumulates and makes some acts of anthropoeia more and more plausible, the challenge for the public will be to separate fact from fiction. For example, Ball ends his literary tour with Aldous Huxley's novel Brave New World. In 1931, the book's in vitro production of embryos in the Central London Hatchery and Conditioning Centre was pure conjecture by Huxley, based on the scientific forecasts of his day. Today, in vitro fertilization (IVF) is mainstream medicine — more than four million babies have been born using this technique. But the technology still has its critics, including within the Vatican. On the awarding of the 2010 Nobel Prize in Physiology or Medicine to IVF pioneer Robert Edwards, Ignacio Carrasco de Paula, head of the Pontifical Academy for Life, stated that the award was “completely out of order”, as without IVF there would be no market for human eggs “and there would not be a large number of freezers filled with embryos in the world”. The challenge for innovative biological research is that, until it translates into real benefits, it is often viewed with mistrust and worse-case scenario imagery. In reality, once products and services are released into society, they are adopted by a few enthusiasts and then, if successful, by the wider community. In the 1970s, for example, anxieties were rife about the unfounded threat that IVF posed to human welfare and dignity, let alone whether a test-tube baby could ever be wholly human. Yet the first IVF baby, Louise Brown, was just like everyone else, so IVF became socially acceptable. We cannot predict whether human cloning will proceed in the same manner, so the past is our only pointer. Absolutely fascinating. As far as some recent relevant films on the topic are concerned, check out the post on the excellent film "Moon" from 2009 and Splice from last year. Of course, you can also watch countless other films on this theme. By the way, Danny Boyle is directing Frankenstein for National Theater Live - and it looks phenomenal. It will be shown in movie theaters as well. I will have a post on it after I have a chance to see it. "Google Trends allows us to get a sense of atmospherics," Koehler-Derrick says. "There are approximately 16 million Internet users in Egypt. Now, this is undoubtedly a demographic that is biased toward younger people. If you put Google's market share at 10 percent, which I think is absurdly low, then that is 1.6 million users that we have essentially surveyed for 30 days." He and Goldstein searched Google using Arabic because that would better measure what locals are interested in. Using the search term "Tunis," they wanted to see how many Egyptians were following the demonstrations in Tunisia. They compared the number of Google searches for "Tunis" with the number of Google searches for pop stars in Egypt. "Typically, as I think you'd find in the United States, pop stars trump almost any search you can think of," Koehler-Derrick says. "But the search for Tunis prior to the demonstrations that kicked off in late January were surprisingly high." Google Trends is basically a way of looking at what people are focusing on by mapping out their Google searches. Marketing firms have been using Google Trends for some time. The government has, too. Back in 2009, during the swine flu epidemic in the U.S., the National Institutes of Health used Google Flu Trends to track outbreaks of the disease. It turns out that when people started to feel feverish and nauseous, they would go to Google to check out their symptoms. While it wasn't a perfect indicator, Google Flu Trends often beat government predictions about flu outbreaks by a week or more. Imagine using the Internet to do the same thing in predicting political unrest. Fascinating! I don't know how robust these connections are, nevertheless, this is really interesting. 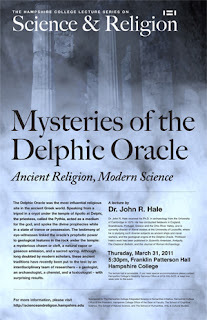 As part of our Science & Religion Lecture Series at Hampshire College, we have archaeologist John R. Hale as our speaker on March 31st (next Thursday). He will be talking about the Delphic Oracle, and how science has unearthed information about ancient religious practice (actually - the discovery that he is going to talk about is quite fascinating). Yes, this topic also falls under the broad category of science & religion. 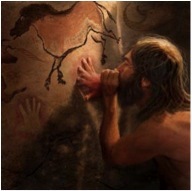 Often times, science & religion issues are only seen through the narrow lens of origin debates. But there are many other facets - and this is a fantastic example. By the way, Dr. John Hale also has couple of Teaching Company courses. Last year I listened to Exploring the Roots of Religion, and it was very good. Things in the Middle East are still in turmoil. I'm sure everyone is getting a tutorial on the complexity of local politics. Bahrain, Yemen, Syria - all with very different types of uprisings, and none similar to Tunisia and Egypt. And then, of course, you have Gadhafi and his unique brand of brutal craziness. Nidhal and I have written multiple posts here on Tunisia and Egypt (for example, see On the use of social media in the uprisings in the Middle East, Statistical analysis to predict the next revolution(s), How important is the internet in Tunisia uprising? During all this, I have been following articles and blogs on Foreign Policy Magazine. 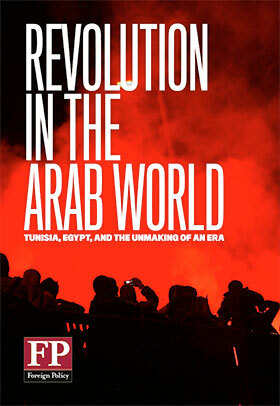 They present an interesting analysis (some from US perspective and some more general), and now they have a special report (an e-book), Revolution in the Arab World, that collects some of their articles related to the uprisings from the past year. What? Past year? Actually the first section of the book is quite interesting and it looks at the rumblings of the revolutions in the months preceding the Tunisia uprising. Where did this wave of anger come from? Why did it begin in Tunisia, and what does it mean? FP's special report starts with a revelatory first chapter that shows how the revolutionary rumblings were ignored, dating back to Issandr El Amrani's prescient warning to Barack Obama in January 2010: Egypt, he wrote, could be the ticking time bomb that overwhelms your international agenda. The coverage also includes a dramatic day-by-day retelling of the battle to hold Tahrir Square, insider accounts of Washington's flip-flopping and struggle to keep up with events, and some of the world’s leading authors and experts, from James Traub to Gary Sick to Robert D. Kaplan, on where we go from here. Consider it a guidebook for these revolutionary times. You can find the table of contents here. You can buy it here. Pakistan's literature is booming right now. Even better, some of these authors - "Pak-Lit Pack" - are also getting the attention they deserve. I recently had a post about the special edition of Granta that was dedicated to writers from Pakistan. Even issues pertinent to science & religion have featured some of the writings. For example, one of the featured writers in Granta, Uzma Aslam Khan, wrote Geometry of God, where the story involves the discovery of Pakicetus - a key transitional link between land mammals and whales (see an earlier post: Whales and the Geometry of God). Oh - and sorry creationists. Whales are mammals and scientists are finding out more and more about how and when some mammal species transitioned back to water - and some of the key fossils have been found in Pakistan. 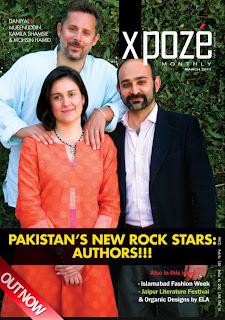 Couple of days ago, I was visiting a coffee shop in Karachi and saw a large magazine with the cover blaring "Pakistan's New Rock Star Authors!!!". This was the March issue of Xpose - a "fashion and lifestyle" magazine. Much of the issue was dedicated to Karachi Literature Festival that was held in early February and organized by the British Council and Oxford University Press. I've heard that the festival was fantastic and I hope to time one of my visits to Pakistan around the festival time. In any case, it is delightful that authors are being treated as rock stars. I think it would be great to organize a Pakistan science festival also. One problem I see is that, instead of science, it will be overrun by pseudo science of a) people claiming to find science in the Quran, b) minions of Harun Yahya and Zakir Naik pretending to be scientific, and c) astrology and other new-agey science. Perhaps, just like the literature, we will have to wait for the maturation of science in the public conscience. A festival hijacked by these pseudosciences will be even more detrimental than having no festival at all. I think amateur astronomy in Pakistan is at this threshold. There are sizable number of people doing serious astronomy. But, at present, I don't see a window for a science festival free of the pseudosciences. May be in a few years! 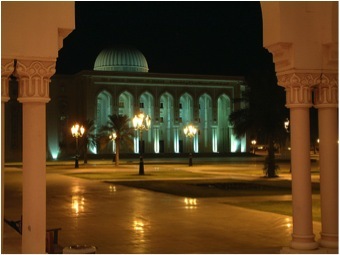 Or may be in Sharjah or Cairo? But this could have a good impact on the society - as long as we keep the pseudosciences out. In the mean time - we can perhaps all read some good Pakistani literature. For starters, read "Granta" issue on Pakistan here. From 21 to 23 June 2011, a big conference will be held at the American University of Sharjah (AUS) in the UAE, jointly organised by the British Council (BC) in partnership with AUS and in association with the International Society for Science and Religion (ISSR). The conference forms part of the British Council’s “Belief in Dialogue” initiative, which is intended to foster closer inter-faith dialogue on matters of common cultural interest, including religious belief and the place and significance of the sciences in various worldviews. 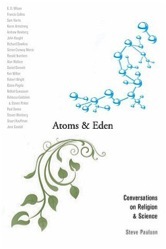 · Science and Religion: Two Cultures? · Ethical Values and Human Responsibility. This theme will explore ethical issues in relation to the environment, to questions of sustainability and to problems arising from new technologies – including such controversial matters as stem-cell research. A further stream within the conference will comprise a series of seminars specially designed for about 50 selected student participants. One or two public debates are also planned and will likely be broadcast by the BBC World Service and BBC Arabic TV, along with other media activity. Thirty outstanding invited speakers have confirmed their participation, including HE Ekmeleddin İhsanoğlu, the Turkish scholar who is currently the Secretary-General of the Organisation of the Islamic Conference (OIC), who will be giving the opening keynote speech, Tariq Ramadan, the well-known scholar of Islam and Philosophy, and many others from around the world. A list of plenary speakers also includes Paul Davies, Zia Sardar, Munawar Anees, Andrew Briggs, John Hedley Brooke, Philip Clayton, William Grassie, Nidhal Guessoum, Salman Hameed, Aref Nayed, Jean Staune, Mehdi Golshani, and Ronald Numbers. I would thus like to invite anyone interested in such topics to submit an abstract for the conference, and to encourage students and young researchers to apply for participation in the students seminar. For further info, including the submission process, please visit the AUS conference website (http://www.aus.edu/conferences/BIDAUS2011/ -- note that the deadline for abstract submissions will be extended) as well as for the students seminar (http://www.aus.edu/conferences/BIDAUS2011/student.php). Finally, please do circulate this announcement around you, particularly at universities, around the world. I haven't yet encountered a female cab driver here, but it is refreshing to see this story on BBC about Zahida Kazmi: Paksitan's ground-breaking female cabbie. She has been driving the cab since 1992 and at one point she even became the chairperson of Pakistan's yellow-cab association. So once again, thankfully, Pakistan is not Saudi Arabia. In case, you are wondering - no - women still can't drive in Saudi Arabia nor can they vote in municipal elections, even though municipal councils have no power any ways. In 1992 at the age of 33, newly widowed Zahida Kazmi decided to take her fate in her own hands and become a taxi driver. Born into a conservative and patriarchal Pakistani family, she flew in the face of her family's wishes but with six children to support, she felt she had no choice. She took advantage of a government scheme in which anybody could buy a brand new taxi in affordable instalments. 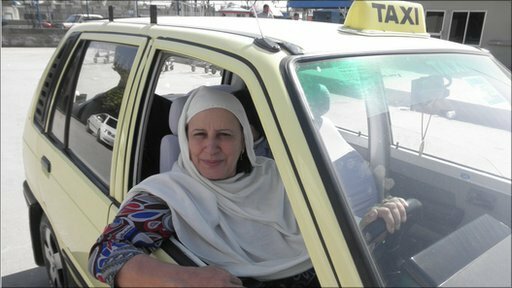 She bought herself a yellow cab and drove to Islamabad airport every morning to pick up passengers. In a perilous and unpredictable world, Zahida at first kept a gun in the car for her own protection and she even started off by driving her passengers around wearing a burqa, a garment that covers the entire body. Her initial fears soon dissipated. "I realised that I would scare passengers away," she said. "So then I only wore a hijab [head covering]. Eventually I stopped covering my head because I got older and was well-established by then." Exposing herself to the hot, bustling city streets of Islamabad and by driving to the rocky and remote districts adjoining Pakistan's tribal areas, Zahida says she learned a lot about the country she lived in and its people. The Pathans of the tribal north-west, despite a reputation for fierce male pride and inflexibility, treated her with immense courtesy on her journeys. But had Zahida been starting out now, things would be quite different as she would be entering the workforce in a country torn between the forces of liberalism and Islamic radicalism. Pakistan in 1992 was a more moderate place: it was opening up to the world; the dish antenna had been introduced; Pakistan had won the cricket world cup. Zahida says society felt fairly open to her. The article provides just a glimpse of the class and gender struggles in Pakistan. But then again, Pakistan has a history of amazing women leading from the front on issues of human rights and gender equality, and now even the blasphemy law (for example, the indomitable Asma Jahangir, Mukhtaran Mai, Shereen Rehman, etc.). There are also Pakistani female fighter pilots (now - this should really put Saudis to shame) and also a bank for and run-by women. Read the full article on Zahida Kazmi here. On a different note (ha! 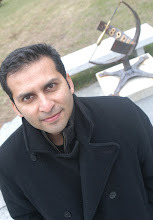 ), I was struck by the music and video of Usman Riaz's "Fire Fly". Damn - he can do a lot with just a guitar. And the quality of video is also quite exceptional. Enjoy! I have just arrived in Pakistan for a few days. On my way here, I had a brief stop-over in London. Just before boarding, I was standing in line for coffee where I could see television screens in the background. BBC was showing live pictures of the tsunami that hit Sendai. This was one of those instances where my jaw just completely dropped. We are now increasingly seeing disasters take place in real time - rather than seeing the pictures of the aftermath. This is horrible and incredible at the same time. Seeing a huge wave passing through the ocean is at once awesome and frightening. Hope the death toll stays low. I had a post about my views on Natural disasters after the earthquake in Pakistan. You can read the post here: Nature and Natural Disasters - On Pakistan's earthquake in 2005. Will the live coverage of such large-scale natural disasters increase our sensitivity or eventually desensitize us as 'just another event on television'? I don't know. But I'm still awestruck by some of the images of the tsunami (video below). It is unclear how the 76-year-old Dalai Lama, who lives in India and is revered by many Tibetans, plans to pick his successor. He has said that the succession process could break with tradition -- either by being hand-picked by him or through democratic elections. But Padma Choling, the Chinese-appointed governor of Tibet, said that the Dalai Lama had no right to abolish the institution of reincarnation, underscoring China's hardline stance on one of the most sensitive issues for the restless and remote region. Oh - and did I mention that there is already a controversy of the previous reincarnation candidate? In all of this, I don't think that most Tibetan Buddhists think about the "physical evidence" for the reality of the claims of reincarnations. I think there are there are two different questions: Is their any evidence of reincarnation ("no"), and Do people believe that reincarnation happens and that it serves a particular role in their lives ("yes")? And in the latter case, physical evidence may even be irrelevant to the discussion. In any case, read the full story here.